Deann has over twenty-five years of experience in sales and marketing. Deann began her real estate journey in Florida from 2000 to 2003 when she made her move to Texas. Deann has become one of Dallas Texas, “go to” agents and has been a consistent leader with a reputation for tenaciously protecting her clients’ best interests. Deann has a background in marketing that lets her use her savviness and innovative marketing strategies. Clients choose to work with Deann for her full-service firm, ethics, experience, and expertise. 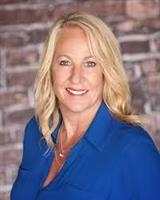 Her clients consistently seek Deann’s advice and trust her judgement on many real estate deals. Deann prides herself on being up to date with all the marketing trends and utilizing her experience and contacts to keep her client’s informed with the most current feedback on the latest trends and market analysis. In Deann’s free time she loves to travel, cook, volunteering at various non-profit events and is a an avid Dallas Cowboys fan who loves to attend games regularly.